Regence Supports the National Fight Against Prescription Drug Abuse, Invites Washington Community to Join, Support "Drug Take-Back Day"
Seattle – Prescription drug abuse is a national epidemic that kills 44 people in the U.S., every day, and costs the nation more than $72.5 billion annually in direct health care costs. More than 15.3 million people abuse prescription drugs in a given year; more than 70 percent of them get the drugs from a friend or family member, according to the National Survey on Drug Use and Health. 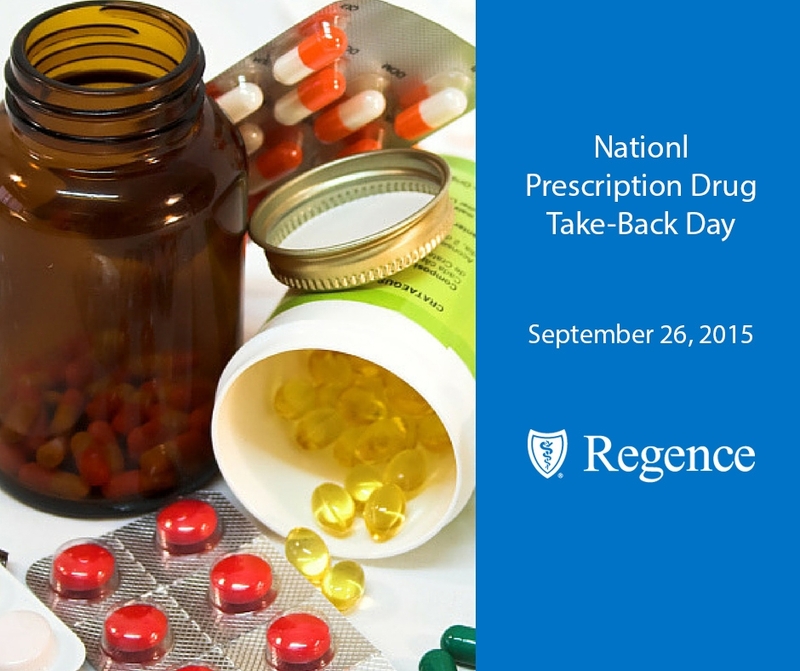 To help protect our families and communities and clear our homes of potentially dangerous, unused and unwanted prescription drugs, Regence BlueShield supports Drug Take-Back Day, organized by the U.S. Drug Enforcement Administration (DEA). When: Saturday, Sept. 26, from 10 a.m. to 2 p.m.
Where: 41 collection sites, statewide – please visit www.dea.gov and click on “Got Drugs?” for a location near you. Additional opportunities to reduce abuse include; patient and provider education, prescription drug monitoring programs, and increased enforcement. “As a member of the community Regence is committed to helping reduce and prevent prescription drug abuse by ensuring that our members are aware of the risks and have access to safe and effective treatment options,” said Don Antonucci, President of Regence BlueShield. Take-Back Day is free and anonymous, and helps protect families, our community, as well as the environment by preventing unwanted drugs from being flushed down the toilet or dumped in the trash.